ProFractional™ Laser Therapy is a celebrity favorite (See Chelsea Handler’s Before/After, which she did not get paid to endorse) for good reason. The ablative laser, which means more dramatic results with fewer treatments, uses an advanced technology that triggers collagen production. This resurfacing treatment addresses concerns such as wrinkles, skin laxity, poor texture and tone, photo damage and scars. Our expert nurses will work with you to tailor the perfect treatment plan to your goals. Discontinue the medication Accutane, 6 months prior to treatment. No one on anti-coagulants may have this procedure. Cold sores: Lysine can be used a day before treatment 1-3xs a day. Continue for the duration of the healing period. To prevent the activation of herpes simplex virus an antiviral medication is recommended. 7 days prior to treatment STOP:exfoliating agents such as Retin-A, alpha or beta hydroxyl acids. Do Not Use aspirin, motrin (ibuprophen), vitamin E, or alcohol for 5-7 days prior to treatment. These can induce bleeding/bruising. Tylenol can be taken the morning of the treatment to reduce pain. Caffeine will sensitize pain receptors and is best avoided the morning of the procedure. A lidocaine based topical anesthetic is used to numb the sensation of the laser. The sensation may feel like pin pricks, bursts of heat or similar to a sunburn. Redness and flaking of the skin is associated with this procedure and may last from 4-7 days depending on the depth of treatment and skin type. Keep the area moist with a light application of an occlusive barrier to aid in the healing process. Day of treatment Red LED before treatment & Red LED and IR LED post treatment. Wear comfortable clothing and bring large brimmed hat. A zip up or button up shirt is preferred to a t-shirt that pulls over your head. You must have a ride home if you take pain and/or anti-anxiety medication. Strenuous exercise and sweating for 3 days and no hot tubs, steam, sauna, or hot showers. When showering, be sure to wash your hair behind you to avoid getting shampoo directly on the treated area. Do not stop antiviral medication prematurely. Infection is NOT common after treatments. Signs of an infection can be: a fever of 101F or greater, pus material, extreme pain and skin that is hot to the touch, redness or a rash that does not disappear. If you experience an outbreak of a herpetic lesion (cold sore) or anything that is unusual a clinician must be notified to prescribe appropriate medical care. If any of the above occur please call during our business hours of 10am-7pm at 415.346.6281. Be Patient! It takes 2-4 weeks to see improvement. This treatment stimulates collagen growth, but it takes time to happen. Collagen rebuilding will continue to show improvement for six months. A POST TREATMENT REGEMINT MUST BE FOLLOWED. Consult your nurse or esthetician. The ProFractional treatment produces visible scanning patterns on the skin. This fades while in the healing process. Pinpoint bleeding is normal immediately after treatment. Oozing may persist for 24 hours after treatment. Dab with clean tissue as necessary. 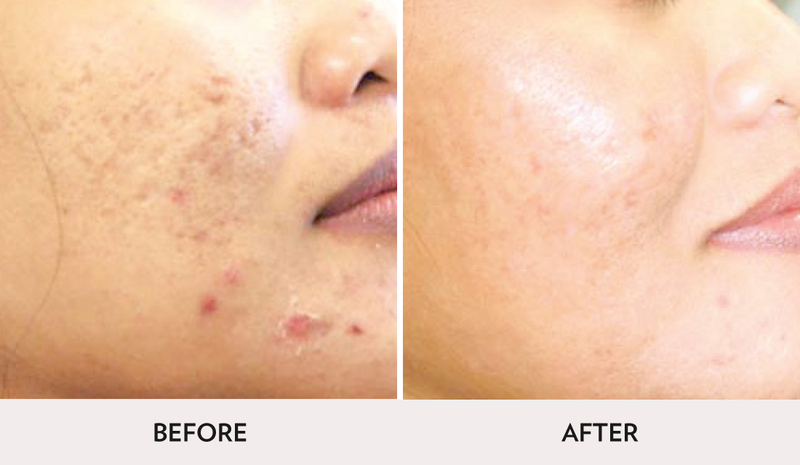 Pinpoint pustules are also normal following the treatment. Break outs may occur around the mouth or treated area within a week of the treatment. Avoid squeezing them and let them heal on their own. Redness and swelling are normal. Sleeping elevated at a 30 to 45 degree angle for 24-48 hours may reduce swelling. ProFractional is a laser procedure with relatively little downtime, used for improving wrinkles and scars. It is a form of laser resurfacing that has come to replace carbon dioxide laser resurfacing. What can be treated with ProFractional? ProFracational can be used to help improve the look of wrinkles and fine lines, acne scars and sun-damaged skin. 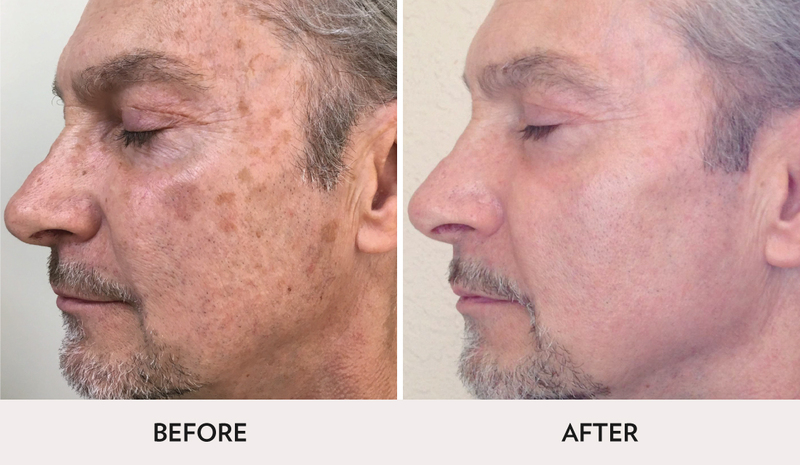 ProFractional uses laser energy to create thousands of microscopic wounds in the skin that are surrounded by areas of healthy, untreated skin. The thousands of small wounds created by the laser stimulate production of new collagen. The result is overall tightening of the skin and diminishing wrinkles and scars. Patients looking to improve the appearance of scars or sun damage in a comfortable treatment with a fast recovery may be great candidates for ProFractional treatments. Most skin areas can be treated. Popular areas are the face, neck, and chest. There is moderate pain associated with ProFractional treatments. An anesthetic cream is applied 60 minutes before the procedure to reduce pain during the procedure. A regional nerve block may be used for additional pain control. ProFractional is typically done in a series of 1-4 treatments, spaced 3-6 weeks apart, depending on your desired improvement. Immediately following the procedure you will experience swelling, redness, bleeding and a hot sunburn sensation. The burning sensation generally lasts 2-4 hours. Facial swelling, especially around the eyes, is normal and can last for a week following the procedure. Complete healing takes about 5 days however, most patients can get back to work and apply makeup three days after the treatment. The cost of treatment depends on the location, size of the area to be treated and the estimated number of treatments necessary. Please refer to our Menu of Services brochure for specific pricing. How do I prepare for ProFractional? Please avoid Ibuprofen, Aspirin, and other blood thinning medication/supplements for 1 week prior to procedure to decrease any possible bruising. Please discontinue the use of retinol products 24 hours prior to procedure. This procedure has minimal downtime, an average of 3 days, depending on the depth of the treatment. Be sure to schedule plans accordingly. Upon arrival, you will be brought back to the laser room. Pre-procedure photos will be taken, a consent for the procedure will need to be signed, and confirmation of pre-procedure instructions will be discussed. If pre-procedure instructions have not been met, the treatment may need to be rescheduled. Prior to treatment, a thin layer of topical numbing is applied and left on for approximately fifteen minutes. The topical is then removed and the face is cleansed in preparation for treatment. The procedure is then performed. The Zimmer may be used during treatment for comfort. The Zimmer assists in cooling the skin during and post procedure. How do I take care of my skin following the ProFractional? Use of a cold compress or ice packs will help to relieve the swelling. To avoid further swelling, you may choose to sleep propped up on 2–3 pillows the first night after treatment. A cold compresses or ice packs may also be used to provide comfort if the treated area is especially warm. This is typically only needed within the first 12 hours post treatment. Post treatment discomfort may be relieved by oral pain relievers; i.e. Extra Strength Tylenol. Please continue the prescribed antiviral as directed until the bottle is empty. Cleanse the skin two times a day with plain, lukewarm water and a gentle cleanser; (i.e. Cetaphil) beginning the morning after the treatment. Use your hands to gently apply the cleanser and water and finish by patting dry with a soft cloth. Be careful not to rub the treated area and do not use any type of exfoliator until skin is fully healed (i.e. Clarisonic). After cleansing your face, reapply the occlusive barrier, (i.e. Aquaphor) taking care to cover all treated areas. The occlusive barrier is needed to provide a protective barrier that will hold moisture into the skin and provide protection to the skin from pollutants in the air as the skin heals. The occlusive barrier is typically needed for 3 days post treatment. Reapply the occlusive barrier as needed. Do not allow the treated area to dry out. When showering, be sure to wash your hair behind you to avoid getting shampoo directly on the treated area. Peeling and flaking generally occur within 24 hours post treatment and should be allowed to come off naturally. DO NOT PICK, RUB, OR FORCE OFF ANY SKIN DURING THE HEALING PROCESS. THIS COULD RESULT IN SCARRING AND INFECTION! Gently washing the skin more frequently will help to promote the peeling process. Once the skin has healed (no longer wearing the occlusive barrier), you may begin to wear a mineral makeup that will allow the skin to breathe and continue healing. At this time, you should also begin wearing a sun block daily to prevent any hyper/hypopigmentation caused by direct and indirect sunlight. Please avoid direct sun exposure until the skin has fully healed.